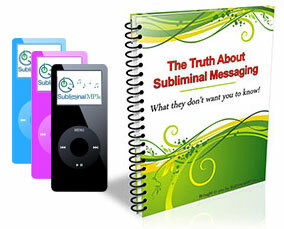 Improve your ability to think logically and gain an edge in your professional life or in school with our powerful subliminal messages. Do you get frustrated because the solution to a problem eludes you? Do you think you could be better at solving complex problems, whether at work or in your personal life? Would you like to be able to think through issues more clearly and draw the most logical conclusions? Smart people, logical thinkers. They impress everybody with their ability to come up with the best possible solution in no time, to quickly find a fantastic argument to convince others or to evaluate the arguments of others. They're able to communicate more clearly and effectively - and their way of thinking earns them respect wherever they go. Would you like to become more like them? Logical thinking isn't something one is or isn't given at birth; we are all capable of learning how to think logically. We can actually train our mind to better analyze concepts and problems and to put them back together in the most effective way. Objectively realize and analyze every situation or concept. You will be able to make decisions based on the factual nature of the situation and not just an emotional response, which will lead to making correct and right decisions instead of going after your "feeling" - and you'll be driven to actually follow the conclusions that you come up with. Improve your self confidence. As this way of thinking builds in and the results of it start showing, you will gradually accept that you're good at it; you will be able to discern good from bad arguments and you'll no longer seek the approval of others - it's much more likely that they will be asking for yours. Finally resolve some personal and professional issues that you've been struggling for a while. As you'll understand how the emotions affect your decisions, you'll be able to objectively realize your situation and to easily discard whatever doesn't make you comfortable, or to include more of what's good for you in your life. If you are in a job where you have to think on your feet, you will be able to use your problem solving skills, and react quickly to situations that arise. It will also help you if you have a lot of tasks to manage at once - it will help you prioritize and manage your tasks efficiently. Logical people are seen as reliable, and dependable and often advance further in their careers, and society generally, so download this album and start developing your logical brain today!